Standard Chartered is doing a passable impression of HSBC circa 2010. The UK-based emerging markets bank has told investors that it does not accept “media rumours” concerning the future of Chairman John Peace and Chief Executive Peter Sands. The parallels with HSBC’s succession planning four years ago – a crisis that culminated in the dual departures of chairman and CEO amid a boardroom power struggle – are worrying. It’s easy to see why StanChart felt the need to respond to a Financial Times report that Peace was preparing to find a replacement for Sands, which would be a share price-sensitive event. Moreover, a big regulated bank cannot cope for long with perceptions of boardroom division, hence StanChart’s comment that the board is fully behind the present chairman and CEO. But the move makes the board look rattled, and adds to the pressure on everyone involved. Such stress can soon become unbearable for a leadership team. In 2010, HSBC dismissed reports that CEO Mike Geoghegan had threatened to resign as “nonsense” – only for him to leave soon after. Moreover, there is division between the board and the outside world. Some big investors have legitimate concerns about StanChart’s direction, given last month’s warning on 2014 earnings and a 20 percent share price fall in a year. They are unhappy with Sands for performance and with Peace over boardroom management. Endorsing the status quo in such a situation looks out of step. When HSBC got sucked into a public debate on its governance, the bank at least had a realistic alternative chairman/CEO team in Douglas Flint and Stuart Gulliver. Normally simultaneous change of both roles would be highly destabilising. The promotion of respected internal candidates actually calmed investor nerves. StanChart is less favourably placed. Non-executive Naguib Kheraj’s experience at Barclays and JPMorgan would make him a capable replacement chairman, but it is unclear whether he is ready to return to global banking’s frontline. The departure of former Finance Director Richard Meddings leaves no obvious candidate to replace Sands either. The status quo cannot endure. The next half-year results will be a critical moment. Peace needs to get on the phone to his investors in private and persuade them that he and Sands are agreed on a long-term leadership plan, whoever is to run the company. His own future depends on it. 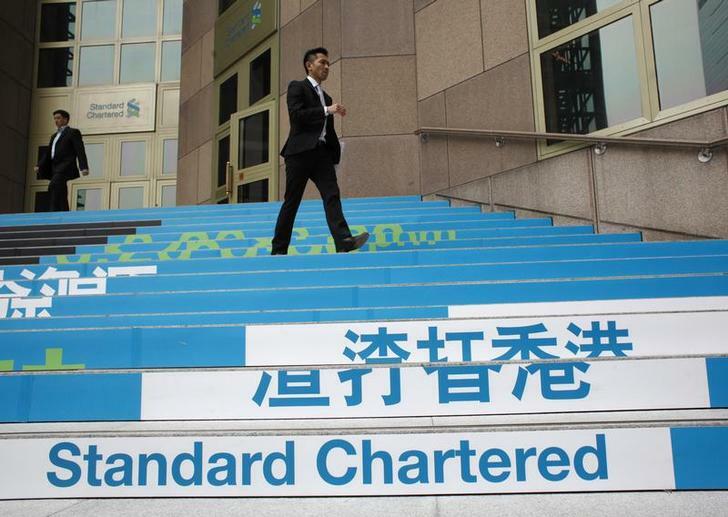 Standard Chartered’s board said on July 23 that it was united in support of Chief Executive Peter Sands and Chairman John Peace, and said it rejected “media rumours” about their succession. The emerging markets-focused bank said it wanted to make it absolutely clear it supported Sands and Peace in delivering the strategy. It said it had “robust and considered” succession plans for all its senior leaders, and discussed succession with shareholders on a regular basis. The board said it would ensure orderly succession took place at the appropriate times, and only in a responsible manner consistent with full market transparency. It added that no succession planning was taking place as a result of recent investor pressure. The Financial Times reported on July 23 that StanChart was working on a succession plan that could see Sands replaced as CEO. StanChart shares fell 0.3 percent to 1,218 pence on the morning of July 24.